Physique 57, an internationally renowned fitness company (New York-based), believes that your body can transform itself in 57-minute workouts, where you get to see longer and leaner muscles. 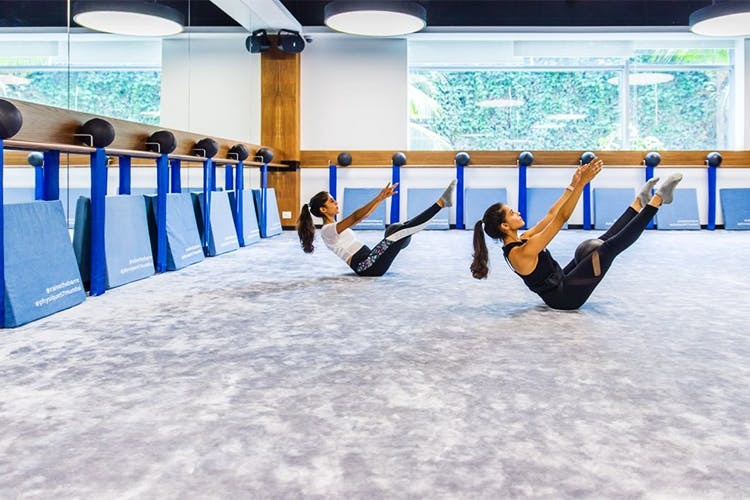 The fitness studio’s exercise model blends the most effective elements of cardio, strength training and stretching to redefine your body from the very first visit. Intrigued? Read on! With visible results in just 8 classes (or so it claims!) it seems only natural for the brand to have a roster of celebrity clients including Reese Witherspoon, Demi Moore, Chrissy Teigen, Victoria’s Secret Angel Alessandra Ambrosio, and Denise Richards to name a few. If you want to move from bulky to lean, then we suggest you check out this class. To know more, check them out here. Price: INR 2,000 for a single class, INR 17,500 for 10 classes, INR 18,750 for a month Note: All prices are not inclusive of GST.